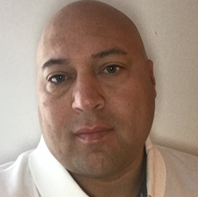 MEDINA, Ohio — Fire-Dex welcomes Scott Wilkinson as Regional Sales Manager for the T60 and T96 territories covering New York, New England (VT, NH, MA, CT, RI, ME), and Quebec. Additionally, Scott will be managing the Maritime provinces. Scott joins the company from MES’ New York branch where he worked as a Sales Representative selling firefighting equipment in central New York. Scott’s passion for the fire industry stems from over twenty years of experience serving numerous roles in the fire house. Most recently serving as Captain at Moyers Corners Fire Department in NY. When Scott is not serving his community as a volunteer firefighter, he enjoys bike riding, listening to live music, attending live sporting games, and spending time with his family and friends. For more information about employment opportunities visit www.firedex.com/employment. responders, including turnout gear, rescue PPE, boots, hoods, gloves and helmets. With a strong emphasis on health and safety, Fire-Dex has paved the path of innovation for the manufacturing of firefighting gear while focusing on the continuous improvement of our products and processes. Visit www.firedex.com for more information.